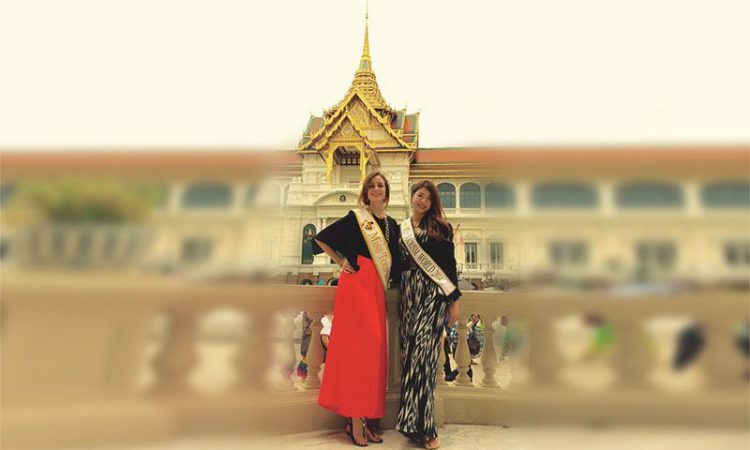 Miss Tourism 2014 Winner, Tomomi Kondou from Japan and 1st Runner up Miss Tourism Spain, Ana Marquez Vera have been visiting Thailand with the Tourism World Organisation. They had the honour of visiting some of the beautiful tourism sights on offer in Thailand such as The Grand Palace and The Temple of the Emerald Buddha. Please check our website and social media pages for more photos from the visit to Thailand. National Finals continue to take place around the world and we look forward to welcoming the Miss Tourism 2015 contestants to the World Final in November. Miss Tourism Honduras – 25 July 2015. The Tourism World Organisation would like to send our best wishes to all the contestants taking part in the National Finals.